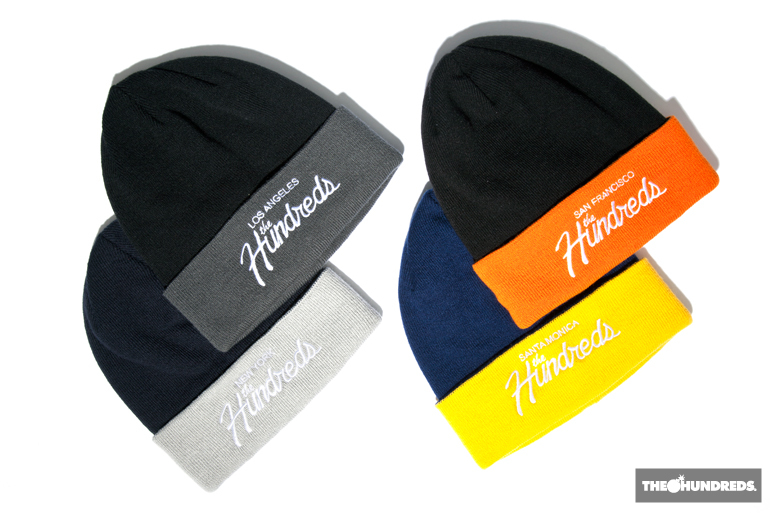 First up are the Store Exclusive™ Team snapbacks and beanies, featured in colors representative of the cities they’re available in. Here’s the Store ExclusiveÃ¢â€ž¢ Reloaded jacket – featured in a black on black color way, with fleece sleeves and nylon body, accompanied by felt applique patches on the back. 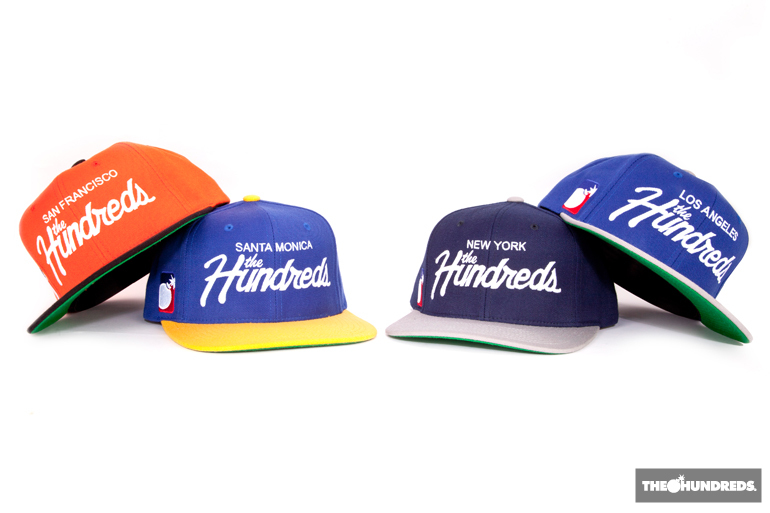 RSWD will be sold in Los Angeles, POST in San Francisco, and GRND in New York. 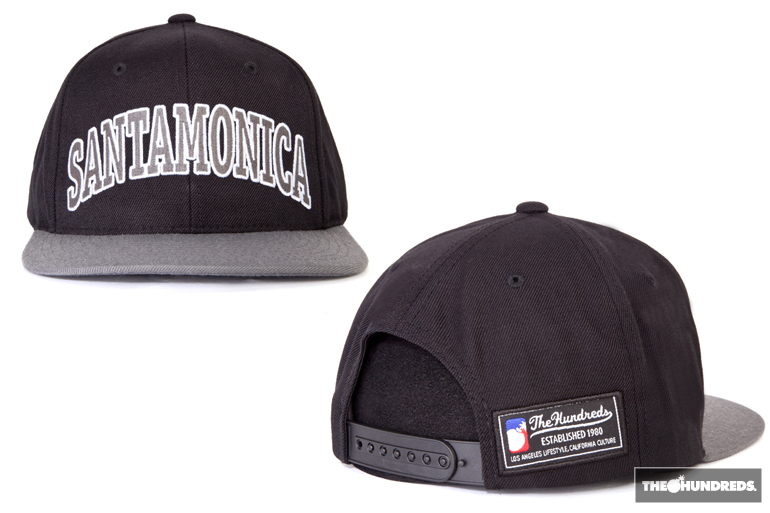 Also available is the Store ExclusiveÃ¢â€ž¢ SMC snapback, inspired by the classic look of vintage sports memorabilia. 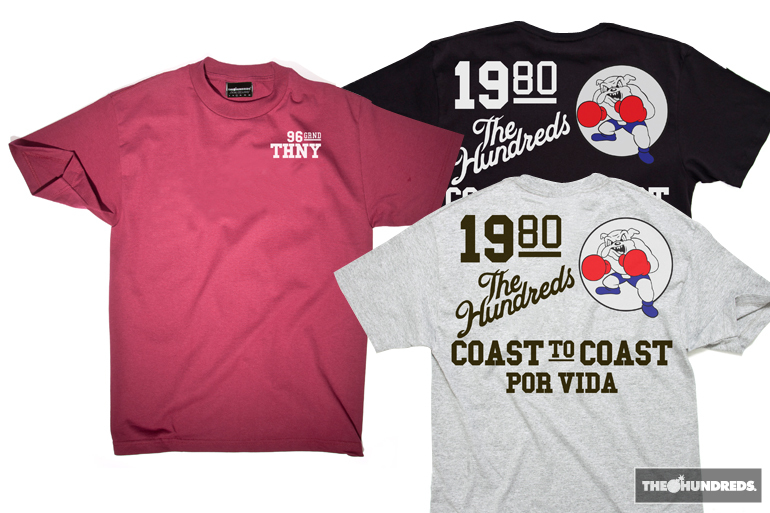 Lastly, we’ve got a ton of new Store ExclusiveÃ¢â€ž¢ tees, each limited delivery made specific for Los Angeles, San Francisco, New York, and Santa Monica The Hundreds stores. 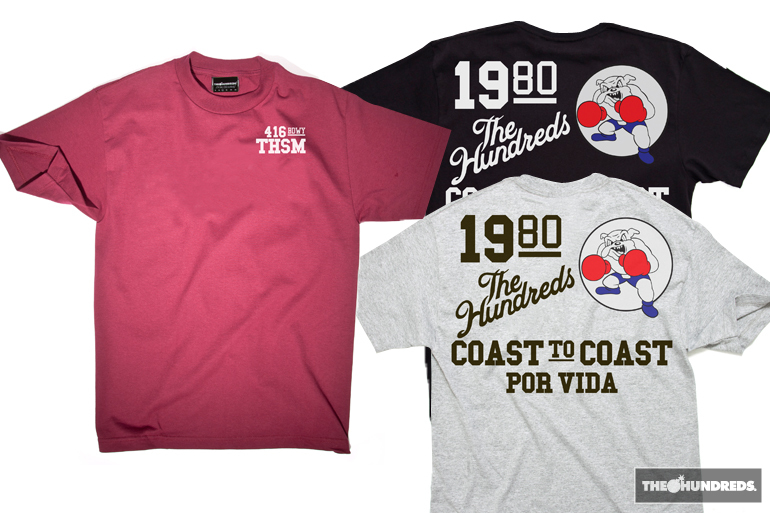 The “Approval” tee, featuring a graphic based on vintage marathon tees of the early Ã¢â‚¬Ëœ80s. 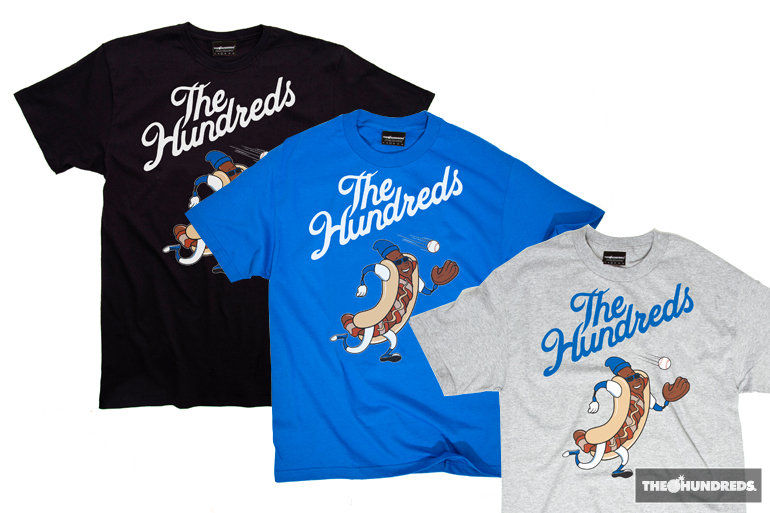 The “Doggy” tee, featuring a hotdog character reminiscent of a Dodger Dog sign at the beloved baseball stadium. 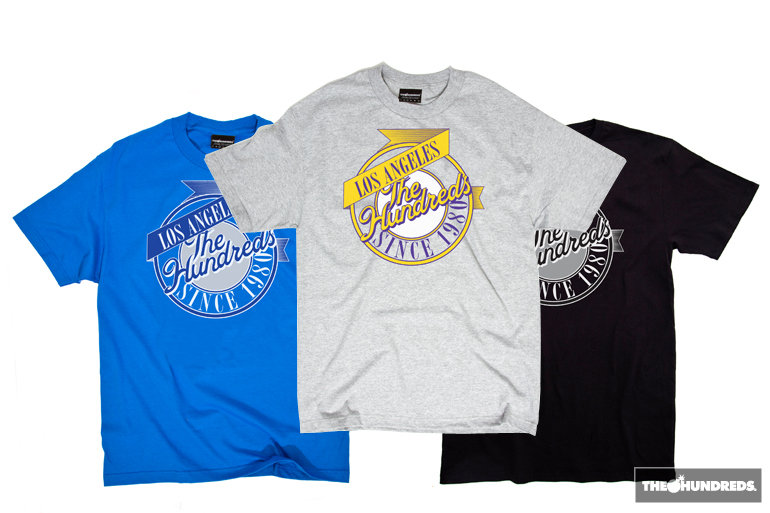 The “Logo” tee, sporting a blown up map of Los Angeles in colors representative of the city. 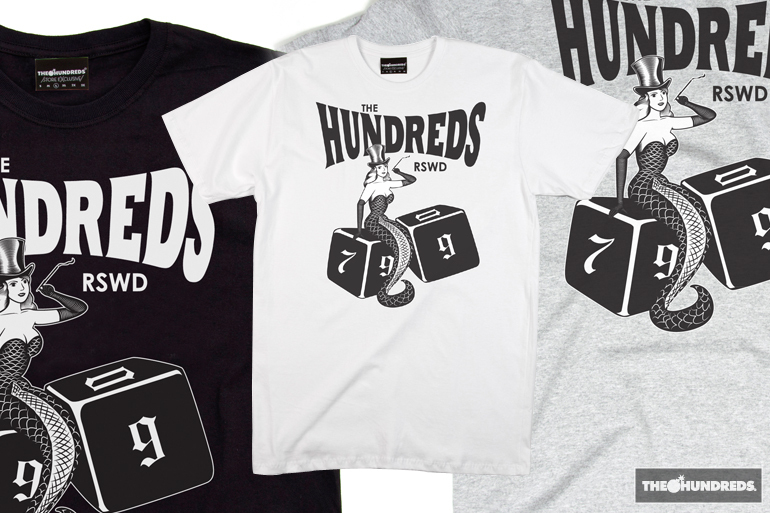 The “Rey” tee, with a twist on a local Mexican food mascot holding a wad of cash and throwing dice. 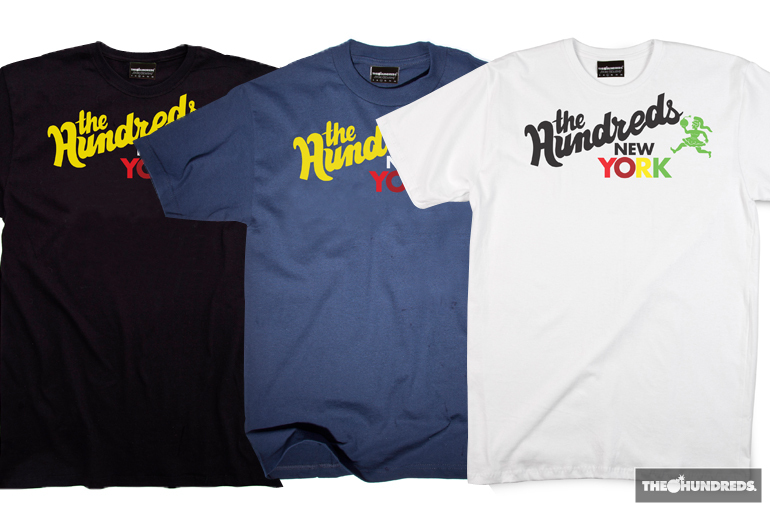 The “Squadron” tee, with a graphic based on early Ã¢â‚¬Ëœ40s Air Force fighter pilot jackets. 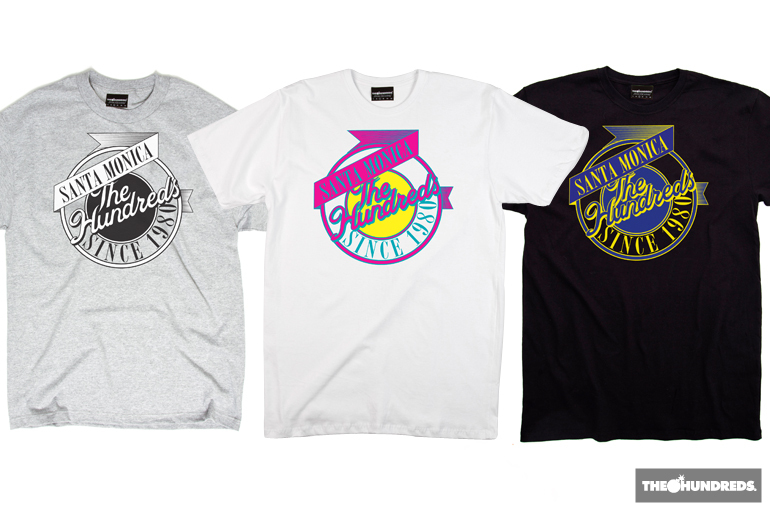 And the “Viper” tee, starring a stylized version of Hollywood’s famous Viper Room logo. 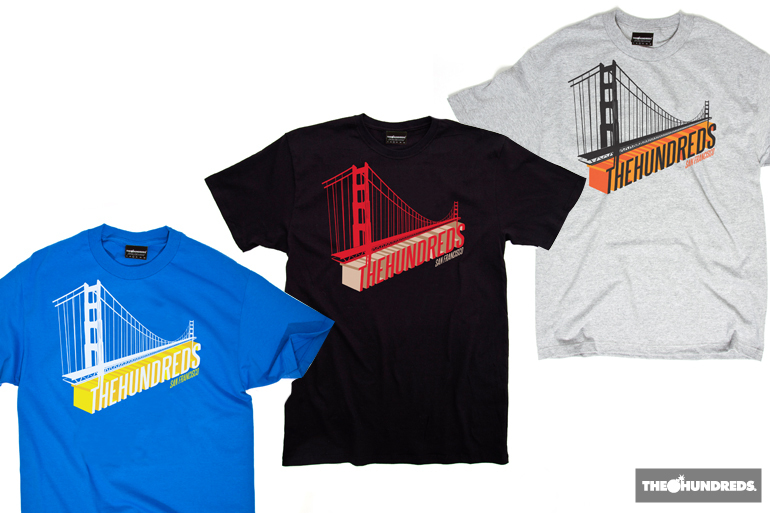 The “Bridge” tee, featuring the infamous Golden Gate Bridge in Giants team colors. 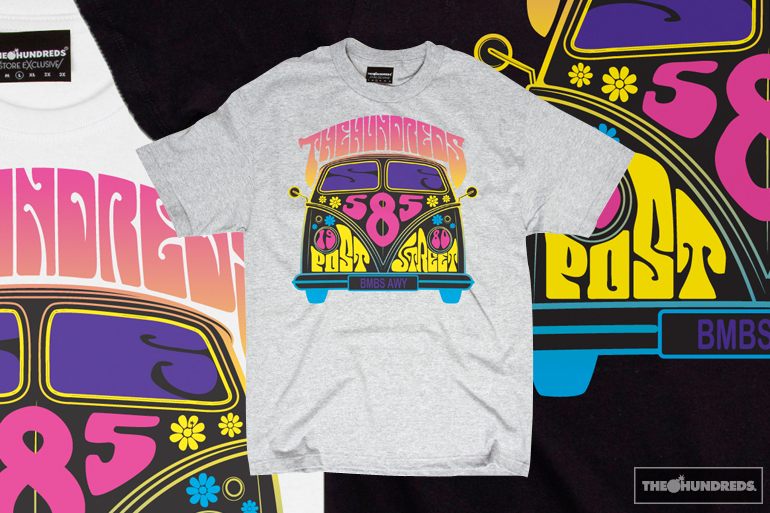 The “Bus” shirt, a nod to 70’s style black light posters representing a VW bus. 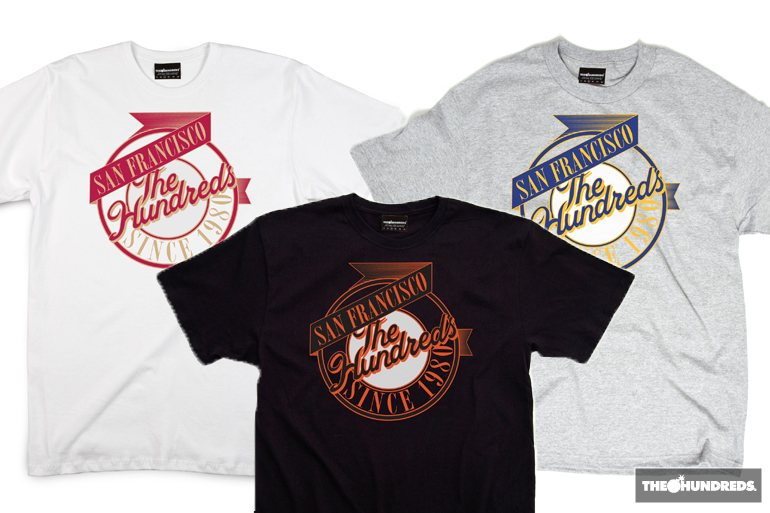 The “Logo” tee, sporting a blown up map of San Francisco in colors representative of the city. 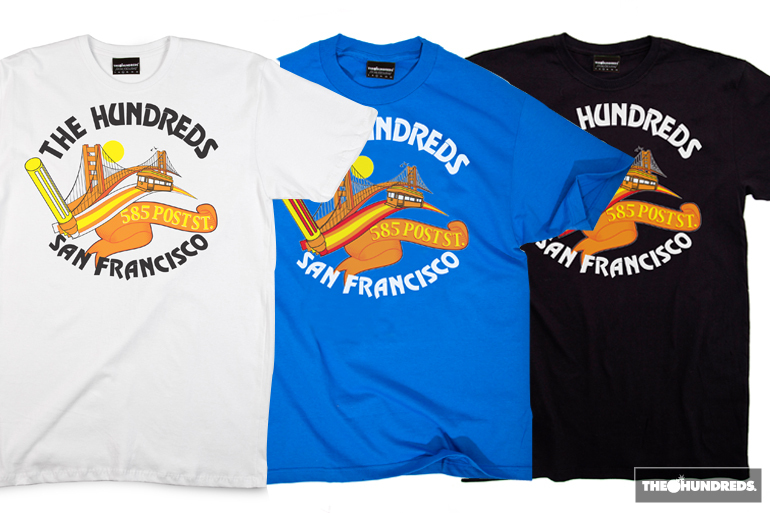 The “Painter” tee complete with two of the city’s most recognizable attractions, a street trolley and the Golden Gate Bridge. 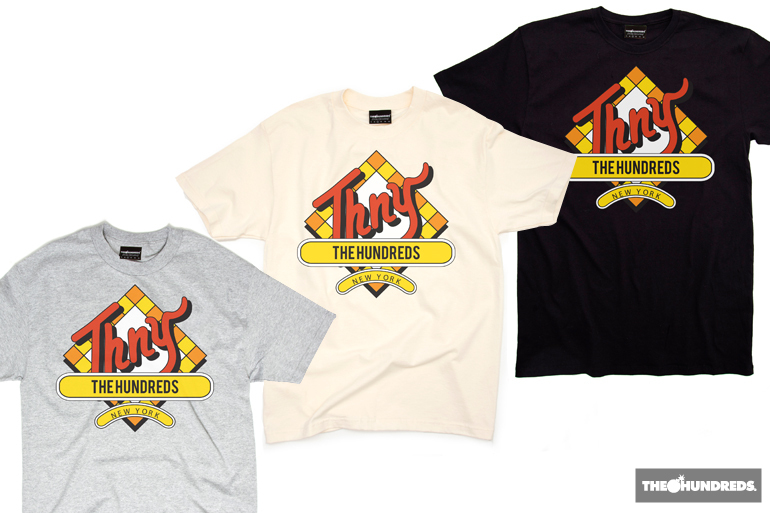 And the “Squadron” tee, with a graphic based on early Ã¢â‚¬Ëœ40s Air Force fighter pilot jackets. 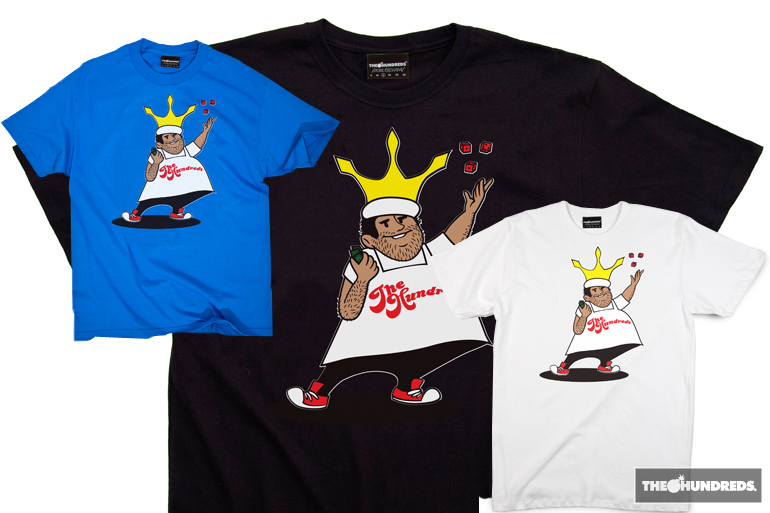 The “Ices” tee, a salute to that famous Italian ice logo you can find at almost any bodega. 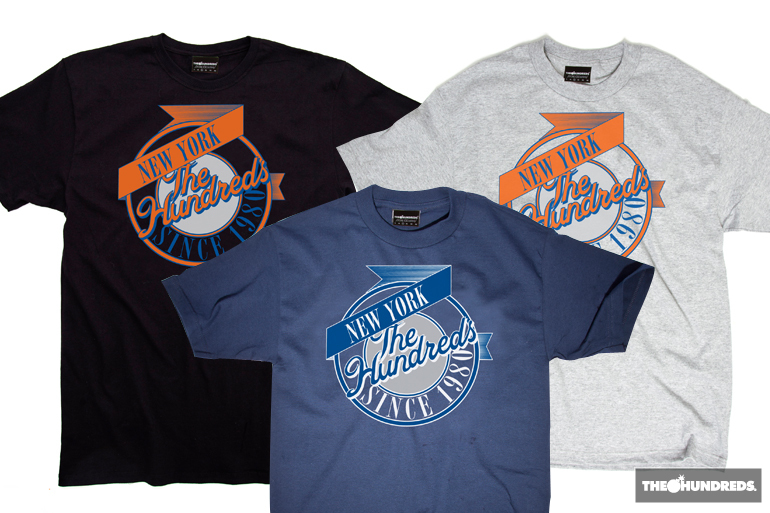 The “Logo” tee, sporting a blown up map of New York in colors representative of the city. 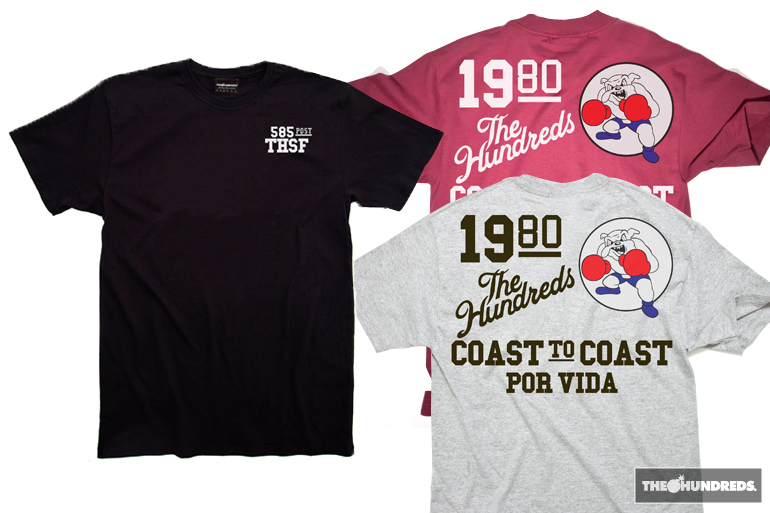 The “Soda” tee, a flip on Soho Natural Soda artwork of the Ã¢â‚¬Ëœ80s. 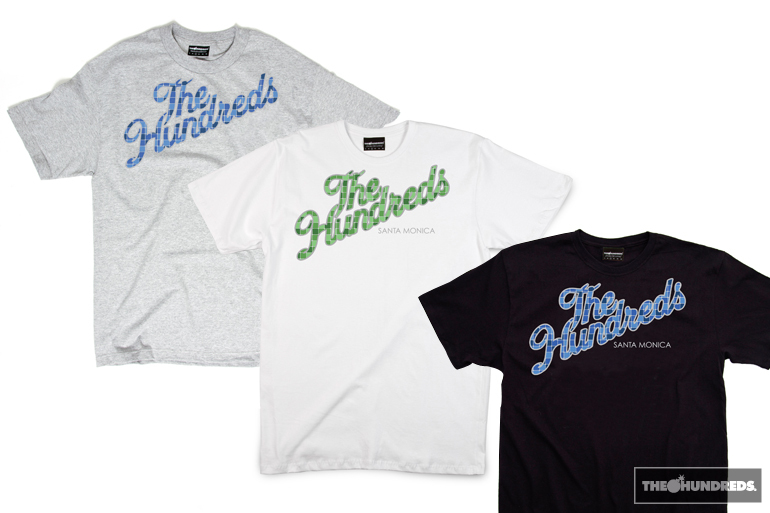 The “Soho” tee, with graphics based on the mural recognized as the entrance of the Soho neighborhood. 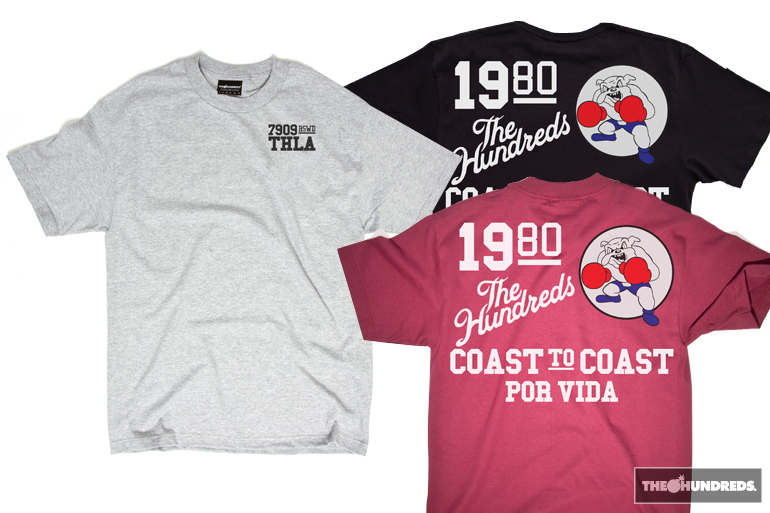 The “Corndog” tee, paying homage to the original Hot Dog on a Stick stand near the Santa Monica Pier. 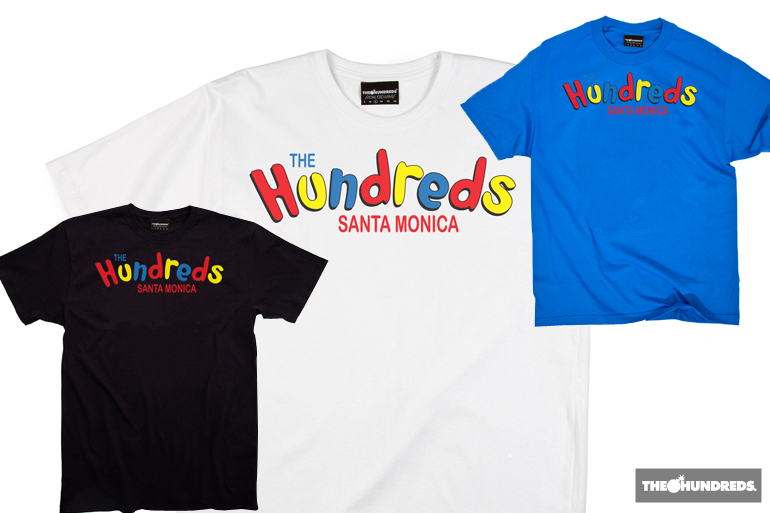 The “Logo” shirt, sporting a blown up map of Santa Monica in colors representative of the city. 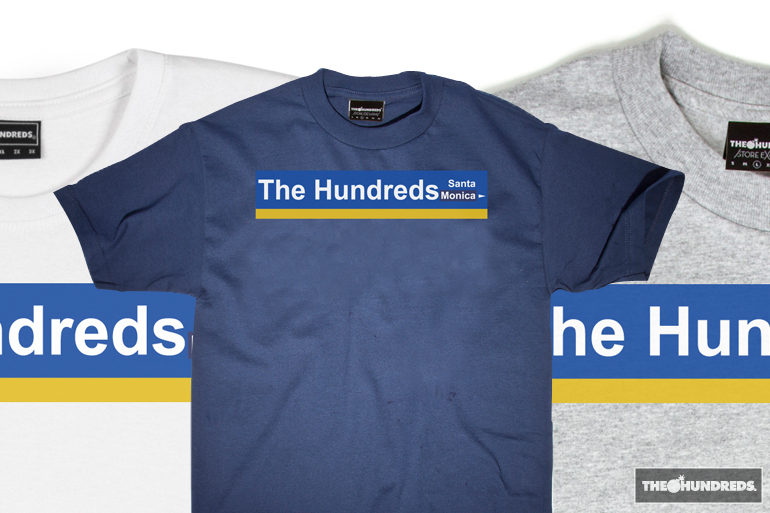 The “Sign” shirt, featuring The Hundreds represented on a Santa Monica style street sign. 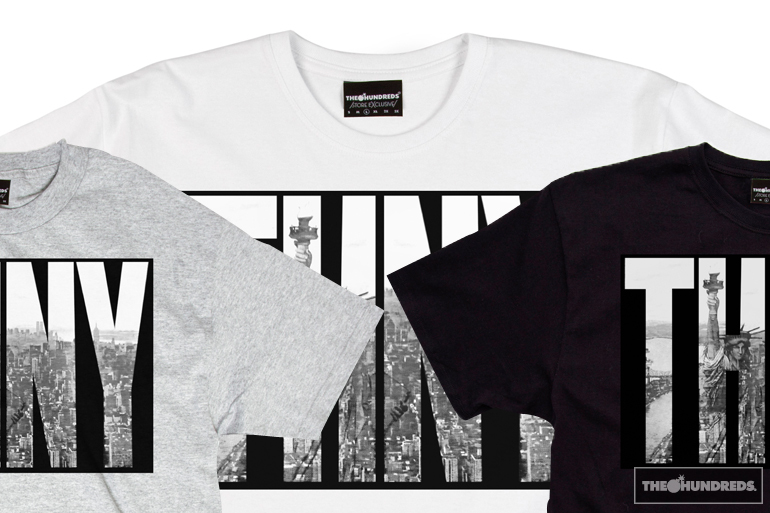 And lastly the “Tile” shirt, a nod to Santa Monica public art installations and the tiles that can be found on fountains and bollards alike.